There were a lot of insults thrown around during the third presidential debate on Wednesday, including Donald Trump calling Hillary Clinton a “nasty woman.” However, it wasn’t just the 2016 presidential candidates that received attention, but also their families, in particular Trump’s youngest daughter, Tiffany Trump. 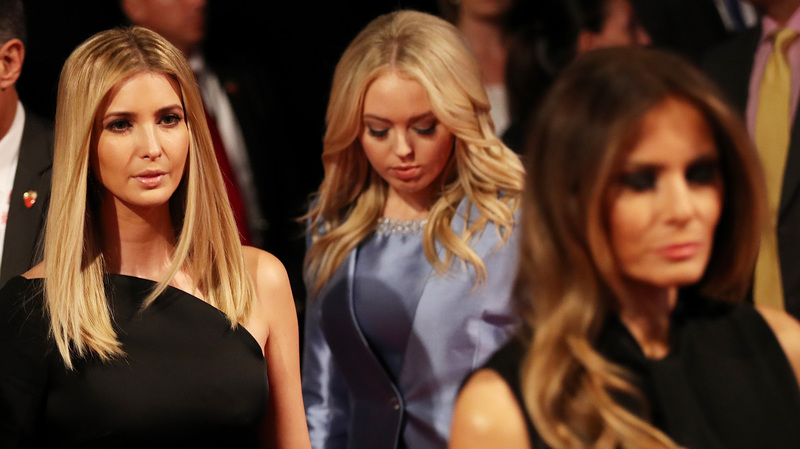 Tiffany (who is Marla Maples’ daughter) was there to support her father, along with her half-sister Ivanka Trump and Donald Trump’s wife Melania. But the reason everyone’s talking about Tiffany? 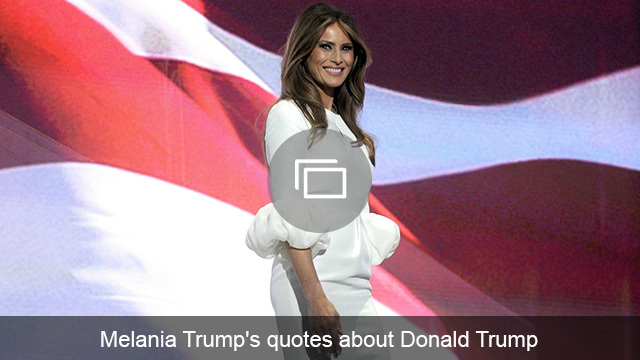 Well, she was the only woman not dressed in black — Melania wore a belted Ralph Lauren jumpsuit, while Ivanka opted for black trousers and an asymmetrical top. In stark contrast to the other Trump women, Tiffany could be seen sporting a frosty blue blazer and matching skirt. Of course, Twitter has been abuzz with reactions to it. Some joked that Tiffany didn’t get the memo for the “all-black” dress code. While others applauded Tiffany for daring to be different. But it wasn’t just her outfit that people have been talking about. Well, this time it appeared Tiffany got briefed beforehand, because she was the only member of the family that Trump kissed — and yes, the internet noticed. Yep, it appears everyone thinks this moment was staged. What are your thoughts on the crazy Twitter reaction to Tiffany Trump’s outfit and her father’s kiss? Share your thoughts in the comments below.